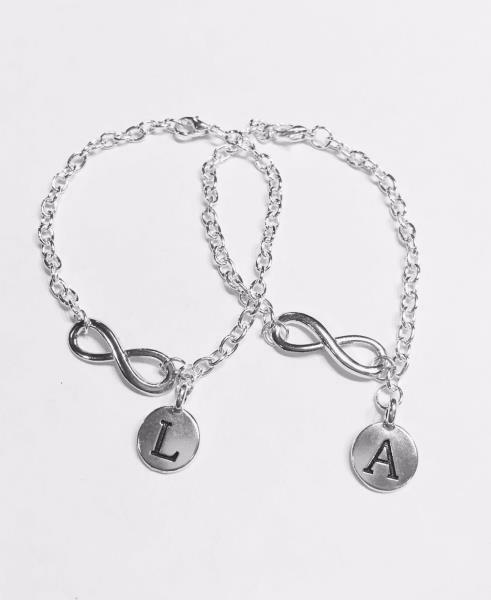 The infinity charm is silver tone and approx 1". 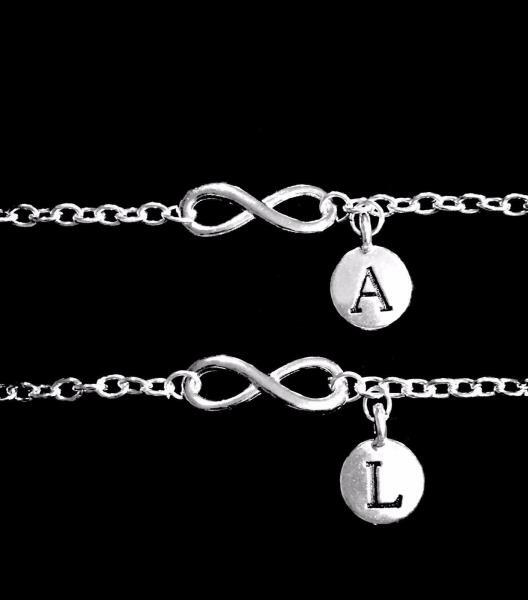 You can get this bracelet in a 6, 7, 8, or 9" length. Please leave a note at checkout for the length you would like the bracelet to be. If no note is left, a 7" bracelet will be sent. If you need an extender chain, just send a message at checkout. The extender is 2" and we keep them in stock. No extra charge for the extender. Please leave a note to seller at checkout for the initial/ letter charms you want.